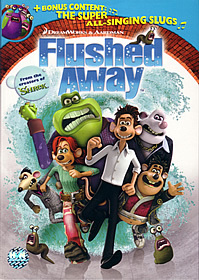 A CG-animated co-production with acclaimed British animation studio Aardman, “Flushed Away” tells the story of a pampered British rat (Jackman) accidentally gets flushed from his posh penthouse flat, into the mysterious sewers of London. As he searches for a way back home, he falls in love with the sewer and its creatures, including a scrappy Cockney rat (Winslet) who steals his heart. We often see how supporting roles steal the show from the main stars in a movie. Let’s see, we are sure people love the killer ninja penguins in Eric Darnell and Tom McGrath’s Madagascar (2005) more than Alex the irritating lion. And how Squirt the adorable turtle is cuter than the whiny clownfish in Andrew Stanton’s Finding Nemo (2003). In this animated feature, it is the super all-singing slugs you’d probably fondly remember. But that isn’t the real star of the show. In today’s day and age, Aardman (of the wonderful claymation in the Wallace and Gromit series) impresses movie-goers again with their seamless CGI feature film. 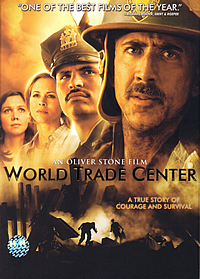 This is also the first full-length CGI feature produced by the British production house. The story tells of a spoilt pet rat that gets flushed down the toilet into an unfamiliar world of sewers and sludge. There, he learns to adapt to a new way of life and ditches his arrogant self to live with the other rodents. The signature claymation look is evident in this 84-minute movie. What we also love is the swanky new look slapped on to make the entire picture more polished. The humour is sharp, the dialogue is crisp, and the voice talents are a hoot to listen to. Whether it’s High Jackman’s alluring voice as Roddy the pampered pet mouse, Kate Winslet’s magnetic voice as the sewer-smart Rita, or Jean Reno’s wacky voice performance as the evil Le Frog, everyone sounds like they had hell lot of fun making this flick. Throw Ian “Gandalf” McKellen, Bill “Davy Jones” Nighy and Andy “Gollum” Serkins into the mix and you’d have one of the most colourful casts of voices ever to come together in an animated film. But one thing which bothered us is the unattractive look of the characters in the movie. Well, what else should we expect for a movie set in the sewers? Dressed-up reptiles and rodents looking pretty for the camera? We’d think not. Oops, here we have another case where the special features steal the show from the movie itself. Not that we are complaining, the truckful of fun stuff here delighted us even though we are not kids. You’d have hours of non-stop fun. Printables – Bookmarks, masks, memory games, posters, stationery, anything you want, you can print it here. Equip yourself with a good colour printer and print, print, print away! You can actually save money buying gifts for those bratty kids. Weblinks – Smart move: Pop the disc into your computer and you can choose to be directed to the websites of Dreamworks Kids and the Flushed Away movie. Super Slug Stuff – This is very interesting. A whole downloadable section on the slugs! There are virtual slugs for your computer, slug tones for your mobile phone, slug games for your desktop, and more printables ranging from slug T-shirt iron ons to slug bracelets! The efforts of the DVD producers will not go unnoticed. Directory Commentary – The British directors tell us about how they made the movie feel English, as well as other interesting animation facts about colours and techniques. We love the bright and elegant British accents. The Music of Flushed Away – The nine-minute clip brings us on a musical journey with composer Harry Gregson-Williams. We love seeing the scoring sessions take place on screen. Of course, this would be a great place for the singing slugs to showcase their pipes. Meet the Cast – A very well-produced eight-minute feature on the perfect casting of the voice actors. It is a great experience seeing Jackman, Winslet and McKellen talking about their on-screen characters. The best bits go to Reno with his hilarious impersonation of the French villain. Dreamworks Animation Video Jukebox – The five-minute clip features songs from movies like Shrek (I’m A Believer), Shark Tale (Carwash) and Madagascar (I Like to Move It Move It). The catchy tunes got our feet tapping. Super Slug Stuff – More fun with the slugs! Choose from songs, games and an innovative 2-minute clip of how a real slug moves (3 feet in 17 minutes!). There’s no point to this section except fun, fun and more fun. Trailers – Included on the disc are trailers for other animated movies like Shrek the Third, Wallace and Gromit: The Curse of the Were Rabbit and Barnyard. The visual transfer on this Code 3 disc is good enough for the folks at Aardman to be proud of, and you can listen to the movie in Thai, Mandarin, Cantonese, or like most of us ordinary folks – English.